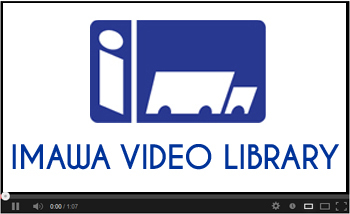 Welcome to the Illinois Movers’ and Warehousemen’s Association. For many people, moving can present a traumatic and difficult time. From planning and packing to the physical move and unpacking, it’s an overwhelming and time consuming process. Fortunately, professional movers can streamline this process, making it as simple and easy for you as possible. This site has been designed to help you consider all your options and then to find the mover that’s right for you. MOVING? Check out the following steps to make your life easier! Along the way, you will meet our mascot Iggy. Be sure to look for his quick tips that will save you a lot of hassle and frustration. Browse our directory of mover members or filter your search for specific criteria to fit your needs. The 66th annual convention and trade show was held February 19-20, 2019 at the Bloomington-Normal Marriott Hotel & Conference Center, Normal Illinois. More than 41 million Americans are food insecure, yet 40% of all food grown, processed, and transported in the United States is wasted. Have you ever wondered how many of the beautiful lodges and cabins at our state and national parks came to be built? Or how about some of the roadways, bridges, and dams?